As we move into Summer 2016 I am turning my mind to makeup; not that my mind is ever really that far away from that particular subject. If you live here in the Emirates, or if you have been here on holiday, you will know that malls are one of the many things that we do extremely well. Vast expanses of cool, highly polished marble floors lined with pristine boutiques and department stores. Mid-week and quiet, a mall is every girl's paradise. Immac. Out I ventured to lose myself in the makeup counters of our local (only 370 stores and 60 indoor and outdoor restaurants and cafes) mall. Upon arrival I was immediately drawn to the Chanel stand in one of the department stores. Chanel is one of my very favourite brands. Pricey as it is, the quality is consistently second to none. Although there may be other subject-matter-expert brands which do specific things very well (such as Natura Bisse for top-shelf skincare products), for me if I have to generalise, Chanel is easily my go-to brand. I immersed myself in Chanel's Summer 2016 Collection (Collection Dans La Lumière De L’été, for the Francophiles reading this). Chanel describes the collection as being inspired by a shimmering desert oasis, which is thoroughly appropriate for a girl here in the Emirates. The colours this summer are brilliant coppers and sandy browns for the eyes, while "pinks and oranges sparkle on the lips". I totally agree. These colours just drip summer sunsets and dusk colours;conjuring up images of long evenings, the setting sun and summer holidays. After a good amount of investigating here are four pieces that I decided to go for today (thanks, Matt:)), that are a must for me for Summer 2016. I'll let you know about how they go when I use these beauties in the coming days and weeks. 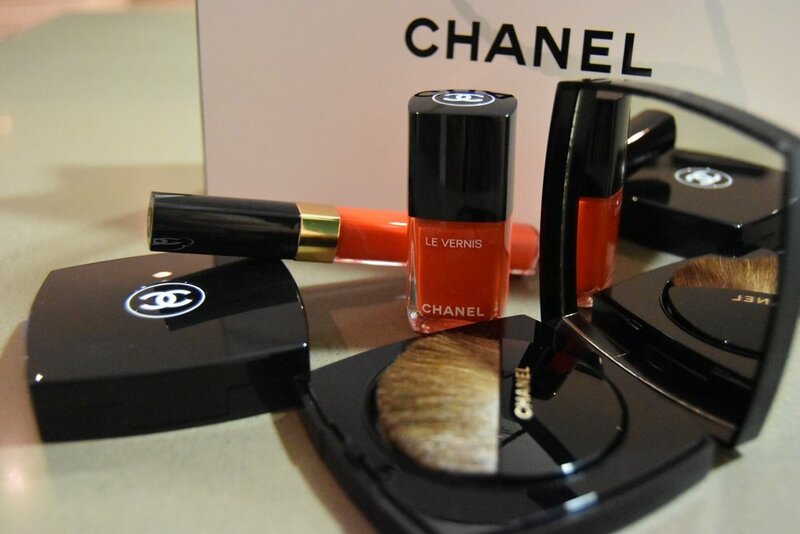 I'll also be giving away some Chanel products away soon, so be sure to stay tuned.